The Brainstorm Long Read: what does Bruce Springsteen have to say about law and how it shapes and is shaped by a people’s culture? Understandably, most people never have wondered what law and literature have to do with one another. Most of us never have considered how and why law is a literary concept and field. Some of the writing about the intersection of law and literature is itself difficult, even abstruse. Jacques Derrida is not for everyone. But let’s try Bruce Springsteen instead. He has much to tell us about the wonderful form of literary and emotional expression that we call music. He also can tell us something about law and about its relation to literature. Consider "Death to My Hometown", which brings an Irish soul to the American experience. That song deploys vivid language of robber barons who stole greedily, destroyed a way of life and the communities built around that life, but whose crimes have gone unpunished and who walk the streets free. Its theme is about seeking justice in response to evil and wrongs unrighted. What else might such a writer—such a lyricist—have to say about a society’s legal structure and about how culture forms law and law forms culture? The answer lies in exploring Bruce Springsteen’s legal imagination: the life his language creates, and the legal structure underlying that life. This is not exploring what Bruce Springsteen has to say to lawyers – or about lawyers. It’s exploring what Bruce Springsteen has to say about law itself, and how it shapes—and is shaped by—a people’s culture. We might start with three fundamental concepts as a foundation. First, to imagine a language means to imagine a form of life (Ludwig Wittgenstein, Philosophical Investigations). Our very language, our use of it, creates forms of communal life. "Play ball" barked by an umpire evokes such American summer scenes as the muffled slap of a baseball against oiled leather, green grass, hot dogs and Cracker Jack. The words "when my country takes her place among the nations of the earth, then, and not till then, let my epitaph be written" resonate in the independent Irish spirit as strongly today as they did when Robert Emmet spoke them defiantly 215 years ago. They created and evoked a nation that continues to live and change today. Second, the literary criticism concept of the Ideal Reader is important part of our foundation. Use of language creates not just broader ways of life, but shapes and forms intimate communities that live a particular way of life: communities of writer and reader. Every writer imagines such a reader, even if not always consciously. Part of the magic of music as a literary form is that it conjures not just an Ideal Reader, but also an Ideal Listener. Third, legal imagination is a specific form of a writer’s creation of that community, a form that addresses rules and structure within the community. Legal imagination can conjure a community that values equality or instead exploits inequality; a community living under vigil of the police or instead committed to vigilance over the police; a community of participation and consent of the governed or, to the contrary, a community in which autocratic force is employed against the governed; or whatever. Legal imagination offers not just a judge, but all of us, a concept of the community we might seek or be creating by application of legal rules. All of this brings us to Springsteen. He is a writer of lyrics, music and notes. He is an exceptionally good writer, one whose Ideal Reader/Listener is intelligent and capable of genuine emotion, one who is humane and concerned about the welfare of others, one who acts in good faith. Importantly, Springsteen has a strong imagination of forms of life generally. He offers detailed, nuanced descriptions of life, with verisimilitude. In "I Wanna Marry You", he imagines an entire life with a woman he does not know but whom he passes daily on the street. In "Girls in Their Summer Clothes", we get rich details like "Kid’s rubber ball smacks/ Off the gutter ‘neath the lamp light/ Big bank clock chimes/ Off go the sleepy front porch lights;" and "Frankie’s Diner’s/ Over on the edge of town/ Neon sign spinnin’ round/ Like a cross over the lost and found." Even in one of his lightest songs, he gives us a vivid image of life. That is before we even get to his legal imagination. Of course, Springsteen is not primarily concerned with law or the legal structure of societies. But all the same, he has produced a body of work that is inlaid with a surprising number of explicit references to law and, more importantly, that shows a deep legal imagination. The evidence is clear. Springsteen has spoken often about his father’s wish that he would become a lawyer. His biographer, Dave Marsh, recorded this in "Two Hearts" (2003) and his walking bridges in "Growin’ Up" have included that recollection of his father, too. Springsteen also has an inherited keenness for the impact that law can have: his great-great-great grandfather, Christy Gerrity of Rathangan, Co Kildare, was imprisoned in 1823 by the British under the Insurrection Act. His music also is replete with references to law and its institutions. "Long Walk Home" includes a courthouse and other symbols of justice. "Nebraska" and "Johnny 99" refer explicitly to a death sentence, a public defender, and a judge named Mean John Brown. "Part Man, Part Monkey" describes a jury trial, with sly references to the famous American "monkey trial" in Dayton, Tennessee, in the summer of 1925, a show trial challenging a state statute forbidding the teaching of Darwinian evolution in public schools. In "Jungleland", "4th of July in Asbury Park (Sandy)" and "Highway Patrolman", the police all make specific, very human appearances. Those appearances include evocative and colloquial references to the vernacular of and about the police. We hear of "cherry tops," a nod to the flashing light bars on the top of police cars. We hear of police chases. We hear of police harassment of fringe businesses, like a fortune-teller. "Meet Me in the City" speaks explicitly of parole violations. And of course, "Death to My Hometown" is an angry ode to victims of unpunished crimes. Many of these references are well-developed lyrically and also unusual topics for popular music. In considering the structure of Springsteen’s legal imagination, we can begin with the individual’s role and move to the community’s life as a whole. As to the individual, Springsteen consistently imagines a realm of the restricted offset against a realm of the unrestricted. Specific duties—restrictions—to others arise from employment, family, or even community. But outside those imposed duties, there is a robust realm of freedom for self, limited only by a recognition that exercising one’s freedom must not reduce another’s freedom. Duties establish a carved-out smaller area: the larger realm is personal freedom. "Out in the Street" is a good example of those dual realms. Work means duty and restriction, but the time after work is to walk as you want to walk, talk as you want to talk. That freedom never suggests a license to harm or diminish others’ options, though. Even when at liberty, away from work, the police remain at the periphery of life, never far off: "the black-and-whites they cruise by, and they watch us from the corner of their eye." The playful "You Can Look, But You Better Not Touch" is in the same vein. From RTÉ Archives, a RTÉ News' report on Bruce Springsteen's 1985 concert at Slane Castle. At the level of community, Springsteen consistently imagines a world in which distributive justice matters, but where social class still determines human opportunities to an extent that demands further efforts at justice. His community is heterogeneous, diverse, richly varied in many ways. Yet, unmistakably a sense of shared destiny is a strong element in Springsteen’s music, in his legal imagination. His imagined community, even nation, is committed to mutual aid, as a corollary to the shared destinies of its inhabitants. In the end, too, he imagines a collective freedom that is maintained—perhaps even obtained—by armed force, by a necessary military institution. Several of these qualities—class order, diversity, and shared destiny with its concomitant premise of mutual aid—bear deeper consideration in Springsteen’s music. The order that social class subtly imposes is not unshakeable or hopeless in SpringsteenWorld. Social classes are a reality, but those classes are not so impermeable or so rigid that they always defeat those in underclasses. Still, the singer is a realist: the police and court systems have much to do with enforcing class structure, for the benefit of those in higher classes. The lower classes struggle against the upper classes, and therefore necessarily against state power. "The Ghost of Tom Joad" includes some of Springsteen’s most impassioned lyrics and rawest recognition of a failure of distributive justice and the persistence of class inequalities. Note, too, that this same song reflects real historical consciousness, and a grasp of important literature, in its explicit acknowledgment of The Grapes of Wrath, John Steinbeck’s classic 1939 story of the Great Depression, drought, and the migration of the working poor that both produced. Much like "The Ghost of Tom Joad", "Death to My Hometown" chronicles the hard reality of the economic collapse of the American "rust belt" in the late 1970s and early 1980s, as the United States lost its competitive advantage in heavy manufacturing and well-paying jobs disappeared in an increasingly global market. Here, Springsteen’s legal imagination fills out the role of criminal justice institutions in relation to class and social order. He offers detailed, passionate imagery. While the institutions of police and courts play large roles in maintaining class structure and order, the actors themselves are not monolithic. Police officers, prosecutors and judges tend to have human qualities and are scaled to real human life. They are not impersonal, purely institutional actors. "Nebraska" is a harrowing, direct discussion of the death penalty and the abbreviated story of Charles Starkweather, who went on an eight-day killing spree in 1958 with his girlfriend Caril Ann Fugate and killed 11 people. The writing is strikingly free of cheapness and sentimentality, and its flat affect echoes its subject and Starkweather himself. The only explanation Springsteen offers is "well, sir, I guess there’s just a meanness in this world." With that, the song ends. Similarly, "Johnny 99" presents hard, specific details. An auto worker’s life falls apart after the factory closes. Drunk, he robs a store and kills the night clerk (here, a theme recurs: the loss of high-paying manufacturing jobs that marked the late 1970s and early 1980s) before he is arrested by an off-duty cop. He is poor, so he gets a public defender with whom he faces Judge Mean John Brown. What follows is an accused’s sentencing allocution, in perfect working-class idiom, that sums up the despair of dying industrial towns and the workers who lived for generations in them. "Now judge I got debts no honest man could pay/ The bank was holdin’ my mortgage and they was takin’ my house away/ Now I ain’t sayin’ that makes me an innocent man/ But it was more ‘n all this that put that gun in my hand." "Highway Patrolman" presents family as a proxy for class. Family there is stronger than employment duty to the upper classes. The trooper who serves those upper classes, and knows that his brother Frankie is no good, protects Frankie all the same because someone who betrays family is himself "no good." Springsteen’s land is ethnically and racially diverse - indeed, diverse and varied across many planes. He is a realist and knows the groups do and will jostle one another. "My Hometown" is a plaintive, even haunting, recollection of that. "In ‘65 tension was running high at my high school/ There was a lot of fights between the black and white/ There was nothing you could do/ Two cars at a light on a Saturday night in the back seat there was a gun/ Words were passed in a shotgun blast/ Troubled times had come to my hometown." Here, the real meets the ideal in Springsteen’s work. These factions eventually learn to get along and they mix. Maybe they simply have to do that, or maybe something better in the human spirit causes it. Whatever the reason, the strength of the society in his legal imagination in the main comes from its variety, breadth and diversity. Perhaps his clearest statement on that point comes in the rollicking "American Land", which has the instrumentation and meter of traditional Irish music. Not coincidentally, Springsteen has commented often on his own mixed ethnic heritage, Irish and Italian and on how classically mid-New Jersey that makes this son of America. Although most Americans may have roots somewhere else, Springsteen believes that they are here together now and share something real, something they have created jointly. In the end, his is an egalitarian ideal, in which opportunities will not be apportioned by gender, ethnicity, race, creed, or class, but become open to all who can earn them by merit. The world may not match this hope, and he knows that, but the ideal persists all the same and beckons us to a better future. His own liberal political views come closest to the surface of his writing and actions here. By moral choice, Springsteen is inclusive. In 2016, he cancelled a Greensboro, North Carolina, concert over a bathroom law that refused to recognise transgender people and he spoke of the law as an example of bigotry and prejudice. He frequently supports Democratic Party candidates. A sense of distributive justice, including through redistribution, seems evident in his body of work. The short ballad "If I Should Fall Behind" is one strong example of the role of shared destiny and mutual aid in his legal imagination. These qualities are rooted in humanism, which is not to say that Springsteen’s words suggest an anti-religious bent or even an irreligious one. Rather, it is to say only that human empathy infuses his music. Religion’s place in the community his legal imagination evokes is complicated. 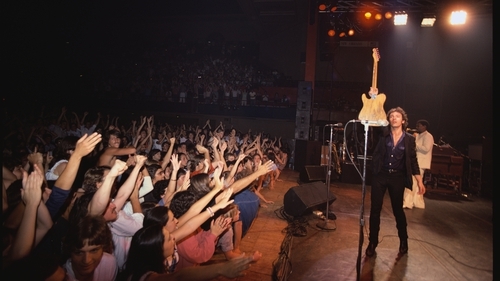 Springsteen’s music is peppered with allusions to religion both playful and respectful in songs like "Part Man, Part Monkey", "Adam Raised a Cain", "Promised Land" and "The Rising". His recent autobiography, Born to Run, explores his nuanced relationship with organised religion. But whatever our value system or cosmology, Springsteen seeks to rally the members of his community together. He reminds us of what we share and what we should do willingly for each other. There is no better example than "We Take Care of Our Own", which is as much prayer as assertion. Yes, that song reflects patriotism, but it has no nationalism, misplaced pride or claim of superiority rooted in homeland. The need to obtain, or at least to defend, a free community by armed force is among the most difficult aspects of Springsteen’s legal imagination to grasp with any certainty. Why? Well, for a start, he does not speak of it often. When he does, it may be in the context of a commissioned piece for a movie, as in "Freedom Cadence" for a 2017 film (songs on different topics altogether "Streets of Philadelphia" and "Secret Garden" were also written for movies). Still, Springsteen had artistic license and little or none of his music is inauthentic, so the assertion in "Freedom Cadence" that freedom must be won from the barrel of a gun cannot be dismissed. All the same, it is hard to imagine that Springsteen in his legal imagination does not understand and embrace the dissenters, cranks, and radicals who use their freedom daily in the face of popular rejection: the likes of journalists, lawyers and others who defend the right to hold and express unpopular opinions. He probably understands the contributions to collective freedom of those who defend it quietly at pen point, rather than noisily at gun point. Indeed, he is one of them. That's proudly floating o’er us. All in all, Springsteen’s legal imagination produces a mostly appealing world. Implicitly, he invites us to perpetuate and make real that community by our own language and imagination. For just as Springsteen does, we also constitute a world with our words. Angry, self-absorbed, or merely empty rantings on Twitter create one type of world. Marketing speech and the language of consumption and raw power create a similar sort of world. Wherever they occur, cliché, fiat, and expressions of greed create authoritarian worlds. We can do that. Or, we can think and speak and dream humanely and intelligently. In doing so, we can create a better world, one in which we can be "good companions" on the ride. Maybe no work of Bruce Springsteen imagines a better world than "Land of Hope and Dreams". Whether we propel ourselves toward that world—whether we climb aboard that train for which we need no ticket—is for all of us to decide in the end. Springsteen only imagined it. We can be Ideal Readers and Listeners or not.